Play is fun for children, but it's serious business when it comes to their health and development. From peek-a-boo as a toddler to jigsaw puzzles, dolls and toy trains as an older child, play enriches not only their lives at the moment, but their brain development and a whole host of other things, too. But, what is play, exactly? According to an American Academy of Pediatrics report, "The Power of Play: A Pediatric Role in Enhancing Development in Young Children," play is an activity that involves active engagement and results in joyful discovery. It is fun and spontaneous, and involves creating an imaginative reality that contains elements of make-believe. It's not about passively watching the television or computer screen, and it's not about the latest and greatest technical bells and whistles on a smartphone. It's about simplicity, imagination and the unstructured time to create. 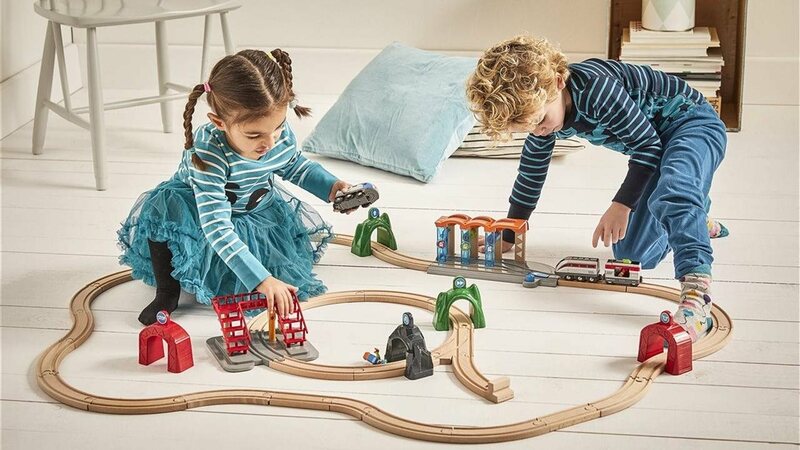 "Simplicity has always been at the forefront of classic toy development with the focus on undisturbed, open-ended play,” said Filip Francke, CEO of Ravensburger North America, whose BRIO line has been creating happy childhood memories for more than 130 years. Their new product line, Smart Tech, complements open-ended play and is compatible with other BRIO World products their parents and even grandparents have likely grown up playing with. * Amplifies creative role play and inspired storytelling. * Develops critical thinking skills. * Improves children's abilities to plan. * Helps with language and math development. * Encourages and deepens relationships with siblings, friends and adults, creating the foundation for more healthy relationships in the future. * Encourages problem solving, collaboration and creativity. * Helps children manage stress. The AAP is so adamant about the benefits of play that it encourages pediatricians to write out prescriptions for play at well child visits to remind parents, in this increasingly structured world, to give their children plenty of time to play. That's because more and more, parents are focused on achievement, after-school programs and increased homework demands, even for elementary students. So, whether it's brightly colored toys for an infant, showing a mirror to an older child to explore her own expressions, reading to children of all ages, giving your child simple toys like blocks, wooden toys, puzzles or a train set — providing your child the opportunity for a daily dose of play is the right prescription for his or her development.